We provide our clients with a wide selection of Certificates of Deposit issued by reputable organizations worldwide. You can choose from different types of Certificates of Deposit with various tenors and currency denominations to best suit your investment objectives. Important Note: Certificates of Deposit (CD) is an investment product and not equivalent to a time deposit. CD is not a protected deposit and is not protected by the Deposit Protection Scheme in Hong Kong. 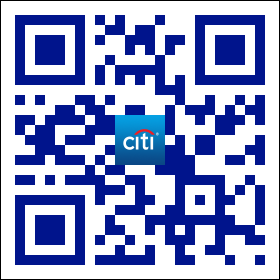 Use our newly launched Certificates of Deposit mobile trading platform now, it enables you to complete a transaction via Citi Mobile® App anytime, any where. You can now capture stable interests beyond boundary. 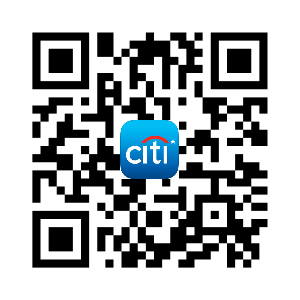 *Mobile trading of Certificates of Deposits can only be completed via Citi Mobile® App and only applicable to Citigold Private Client and Citigold clients at the moment. Please contact your Relationship Managers for more details. Contact our Investment Service Hotline at (852) 2860 0222(852) 2860 0222 or visit any Citibank branch. How can I trade with the Certificates of Deposit mobile trading platform? Only a few steps, you can now make a transaction through Citibank's newly launched Certificates of Deposit mobile trading platform. Watch the video to experience the flexibility brought from the platform. *Information is for reference only. Certificates of Deposit is only available to clients of Citigold and Citigold Private Client. For details, please refer to Certificates of Deposit List. Certificates of Deposit is a type of debt securities which is very similar to Bonds. Certificates of Deposit is usually simple (i.e. without any call, early redemption or any other complicated features), relatively short tenor and less risky (product risk rating 1 or 2) compared to other investment products, which is ideal for conservative client who is looking for return higher than traditional deposit products. How do Certificates of Deposit work in general? 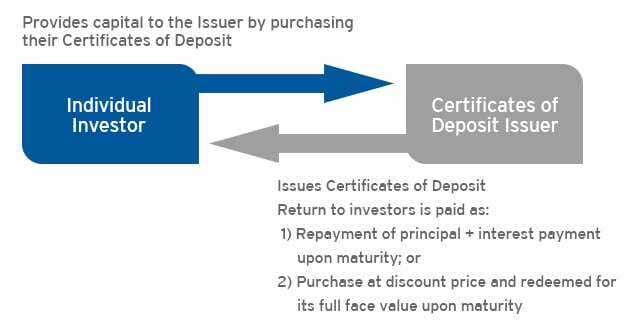 When investor purchases the Certificates of Deposit, investor’s money will be kept by the Issuer for an agreed period. In return, investors will receive the repayment of principal and a fixed interest payment upon maturity. Certificates of Deposit involves risks, including the possible loss of the principal amount invested. Unless specified, these investments are not obligations of, or guaranteed or insured by Citibank (Hong Kong) Limited, Citibank N.A., Citigroup Inc. or any of its affiliates or subsidiaries, or by any local government or insurance agency. Investors investing in Certificates of Deposit denominated in non-local currency should be aware of the risk of exchange rate fluctuations that may cause a loss of principal. Certificates of Deposit prices may go down as well as up. Citibank (Hong Kong) Limited does not guarantee the existence of a secondary market for Certificates of Deposit. Investment products are not available for U.S. persons and might only be applicable to limited jurisdiction. The numeric product rating of a product is an indication of its risk on a scale of 1 to 6, where 1 is the lowest and 6 the highest risk category. Higher product risk ratings will tend to primarily reflect greater volatility of the market factors affecting the product’s value than for lower risk products. Higher product risk ratings also apply to products with restrictions on redemptions, products that are infrequently traded or other factors affecting the determination of a realizable market price. The Product Ratings are not intended to consider additional risk factors that are external to the product. Examples of such external factors include investments funded with loans and translation risk of products denominated in currencies other than the investor’s home currency. Please refer to the Bond List which provide general guidance on what product ratings are intended to indicate. Investors must understand that market conditions change and the product’s risk may increase or decrease over its life. If you require further clarification on product ratings, please ask your Relationship Professional.